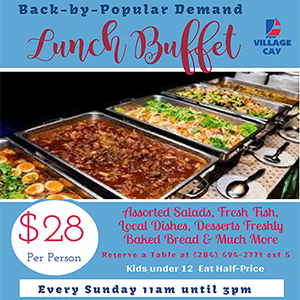 PRESS RELEASE – Many of this year’s participants in the BVI Spring Regatta and Sailing Festival made their way ashore today to register for a week of world-class racing out of Nanny Cay, Tortola. The Marina is alive with activity – old friends catching up and first-timers partaking of the infamous Mount Gay rum drinks at the beach bar. 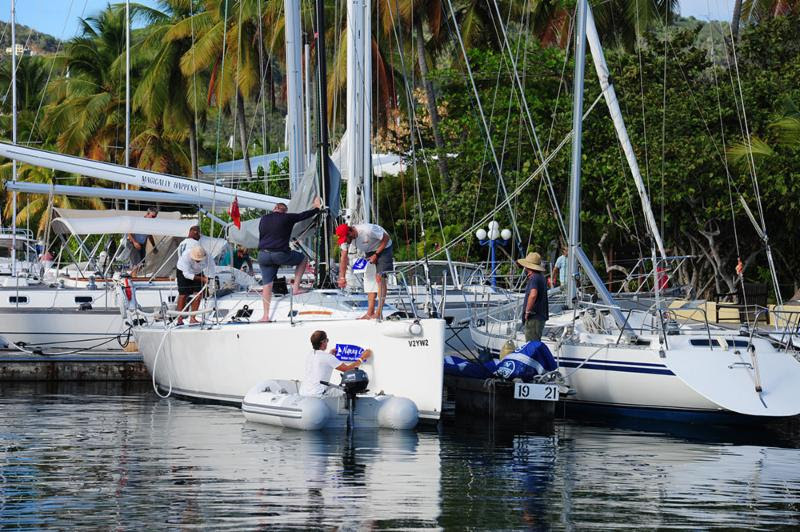 With the breeze looking light for Tuesday’s annual Round Tortola Race, Regatta Chairman Bob Phillips is recommending a shorter course to ensure racers have an opportunity to get out on the water. “The breeze is supposed to be out of the south so it looks like the perfect race is likely to be around Norman and Peter Islands, a 7-8 mile course as we want to get racers out AND back,” Phillips said. Newcomer to the Regatta this year is the X41 Godspeed, from Austria. Skipper Peter Steinkogler, formerly a chief sailing instructor for the BMW Sail Racing Academy, runs Godspeed, a sail racing academy in Austria. 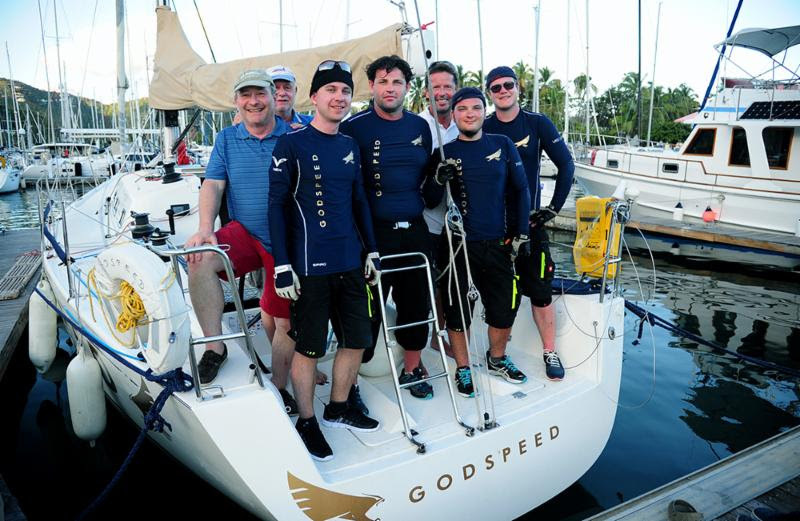 SteinKogler and Godspeed have had quite the adventure making it to Spring Regatta, after crossing the Atlantic in November with the ARC (Atlantic Rally for Cruisers) from Las Palmas to St Lucia and finishing third after hitting a whale and landing a $10,000 repair bill. 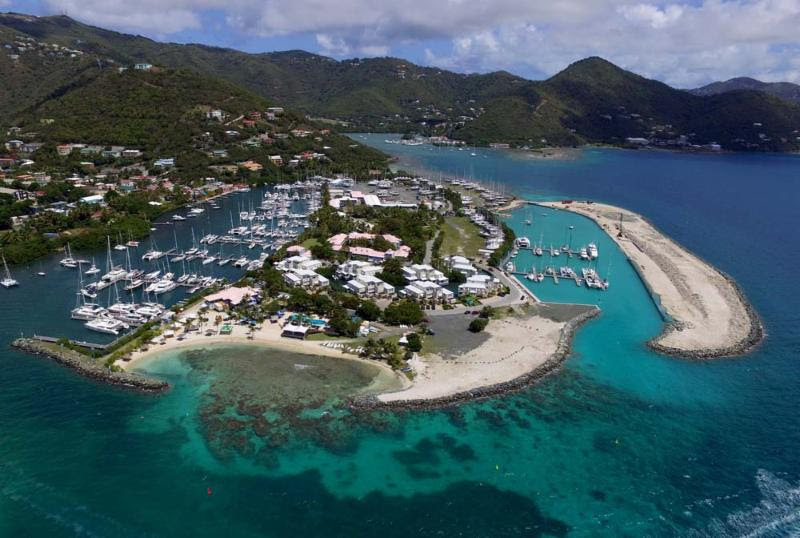 “The BVI is marvelous, I just love the conditions here and the people are really friendly here in these islands,” Steinkogler said. 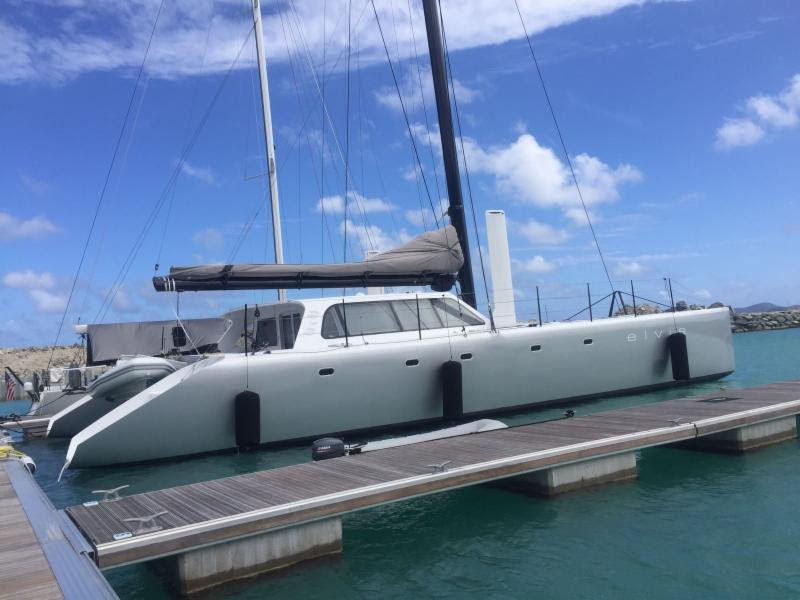 Sam of Hamble, the Sigma 38 co-owned by Peter Hopps and Serena Alexander, returns to the BVI Spring Regatta for the fifth time, this year with two BVI virgins on board. Scotty Bradford is boat captain on Elvis, the Gunboat 62 owned by Jason Carroll, based out of Newport, RI. This is Bradford’s first time racing multihulls having spent many years racing maxi boats, and he’s a big fan already. “After this, I’m not going back to monohulls, I can tell you that! This does everything I want to do.” Bradford’s been instrumental in organizing the Gunboat fleet to race, like putting together the rating rules which hasn’t been easy. Elvis has been leading the Gunboat pack winning most regattas this past year but Bradford thinks they may get a wakeup call here in the BVI. Nonetheless, there’s plenty of work to be done on these big multihull racing machines and Bradford’s team will be working on fitting a new sail before racing begins. “We’re excited to have a lot more boats here and especially at these new docks at Nanny Cay,” he said.